A new and improved formula, formulated by health professionals, a special enzyme formula combined with Phyto-Therapeutic herbs and probiotics to support optimal digestion and assimilation of food. 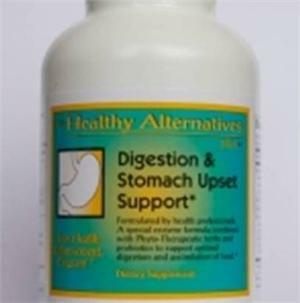 A unique combination of nutrients and herbs in a base of plant enzymes designed to provide relief from heartburn, nausea, burping, upset stomach, acid indigestion, diarrhea, gastritis, and ulcerative conditions. Neutralizes excess stomach acid, helps with digestion, restores appetite. It is suitable for even the most sensitive digestive systems.